Mix the mince, tomatoes, breadcrumbs and mint together, season well. Press into 8 flat oval shapes. Barbecue or griddle for 2-3 minutes on each side until cooked throughout. 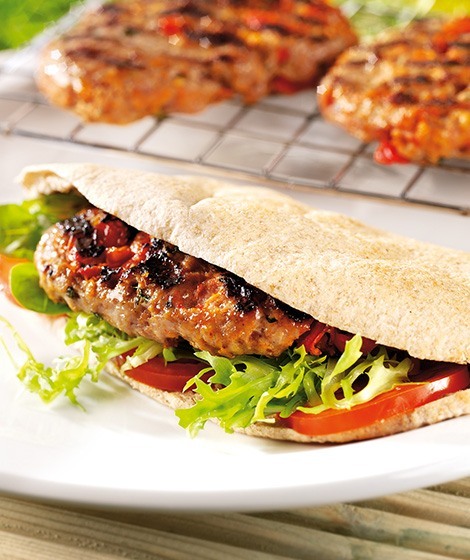 Serve in toasted wholemeal pittas with salad. Make into burgers and serve in toasted wholemeal buns with a cucumber and yogurt relish at barbecues.